It’s no secret that I am a big advocate for student voice through the digital leader initiative. I’ve seen the initiative become such huge success stories for those schools that develop student digital leader groups. 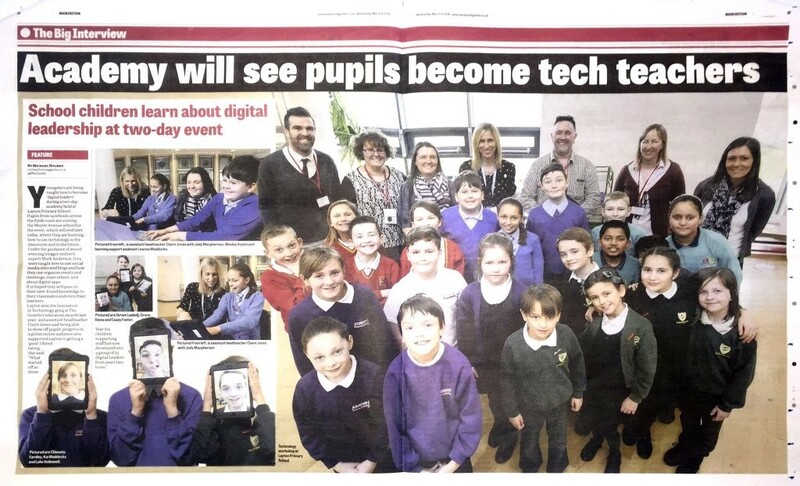 It was from this that I developed the digital leader academy to continue my work in North Tyneside following my support of the launch of the RTC (Apple Regional Training Centre) at Stephenson Memorial School in North Tyneside. 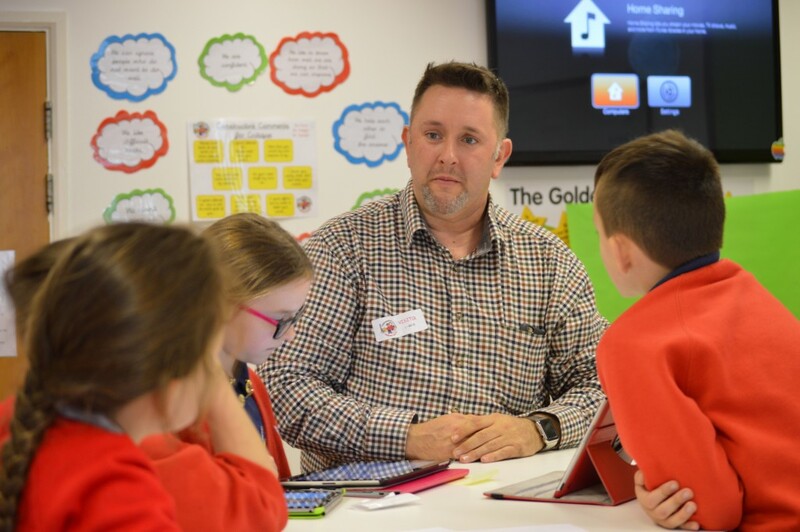 In November 2016 I went to the school and we saw 8 primary schools come together to work with me alongside Laura Dickinson, the eLearning Lead Practitioner for the North Tyneside Learning Trust, to develop their skills in using Apple technologies, set up their blogs and inspire them following their successful applications to become student digital leaders. The first two days were brilliant and I’ve been loving seeing the updates on their work since our first pair of days together. Both the teachers and the children enjoyed and were inspired by the days and their work since then has clearly had an impact in their schools on an ongoing basis. The event even made it into the local paper, the Blackpool Gazette… twice! This week saw me return to the Stephenson Memorial School to work with the original schools that I met back in November; the idea being to check in on how they were getting on and to share some of that impact too. In the morning of the two days, we spent time thinking about design work and how they could best design their resources to have a big impact and look professional. We learned about and practised the use of lots of different apps and their impact on learning too, such as Adobe Post, Snapseed, Book Creator, Heart Cam, Google Street View, AirPano and the airpano.com website, LifeLiQe and many more. 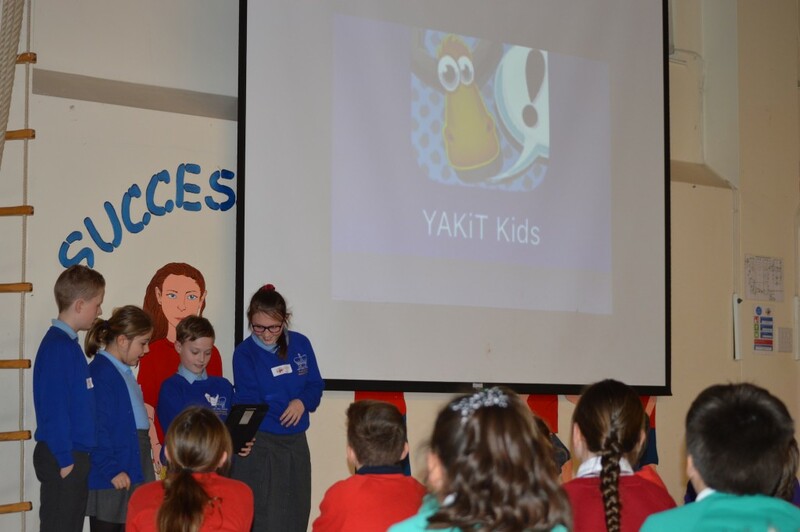 Across the two days, the children developed some resources to demonstrate their work as student digital leaders and the impacts that they have been having. 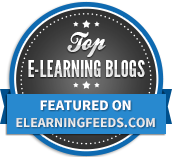 They also made some screencasts to showcase their favourite apps for learning. They combined all of these different resources into a big book using Book Creator. Additionally with teachers, I created an intro video to go into the book with some training for Laura on how to use Final Cut Pro to make quality bespoke videos. All of this culminated into one pretty amazing book. So what did we do with that next? Well of course, we published it. 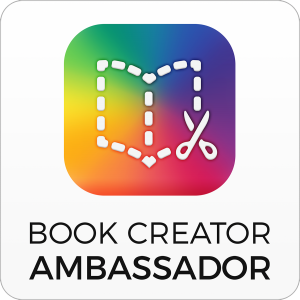 So after just one day for each of the schools we produced a 39 page multi-touch book available to 51 countries around the world incorporating the work of the student digital leaders from North Tyneside. Amazing. 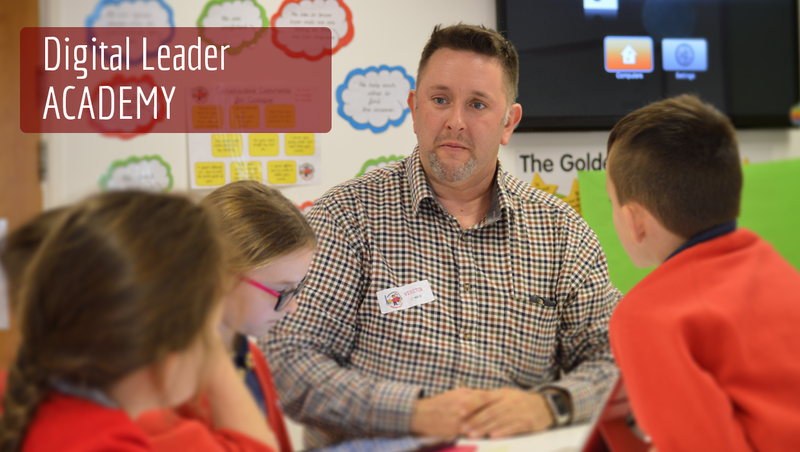 If you would like to download the book created with the student digital leaders at the Digital Leader Academy, you can do so by clicking here. 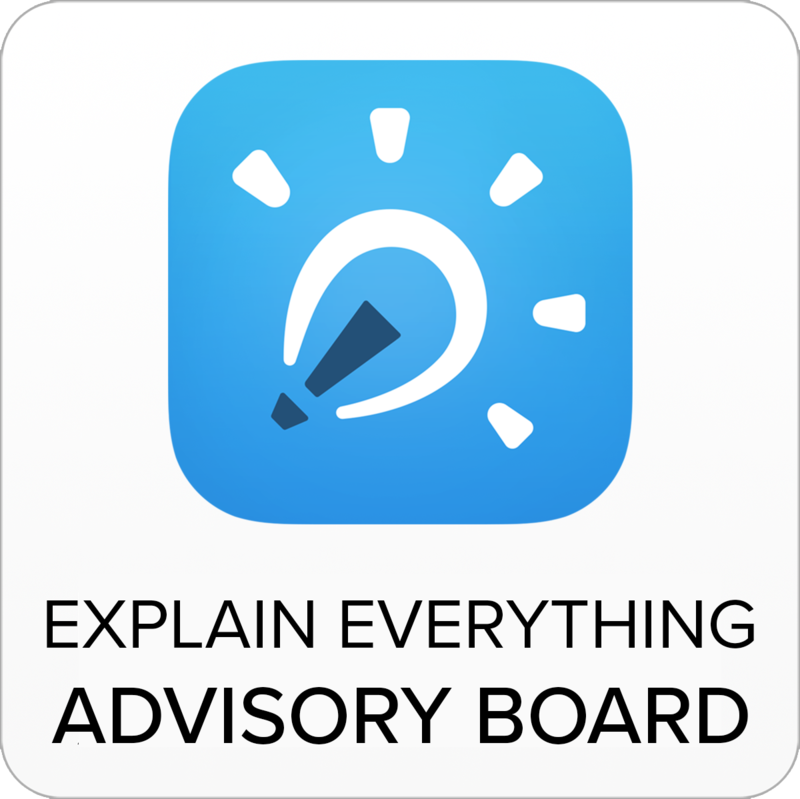 The book is available on iPad, iPod Touch and iPhone. The children would absolutely LOVE it too (if you did download it) if you could leave them a review and some feedback. The two day event was capped off at the end of the second day with a KidsMeet event where all of the schools came together and the pupils shared two presentations about their work. One of these was 5 minutes, the other one being 3 minutes. I was blown away by the confidence and quality of their presentations. I’m co-organising TeachMeet London which is taking place tonight and I hope that the teachers that are presenting do as good a job as these brilliant young people. 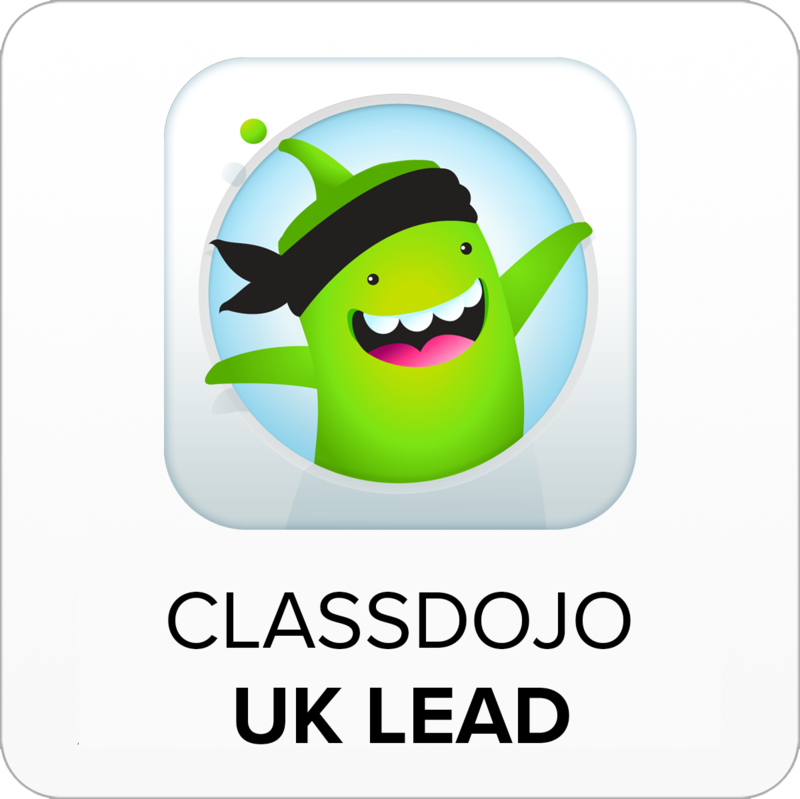 If you like what you’re reading here and are interested in running a Digital Leader Academy in your school for local schools to attend, such as that across a MAT or for a local authority, get in touch. The impact that student digital leaders can have in your school to support learning, both with and without technology, is fantastic. 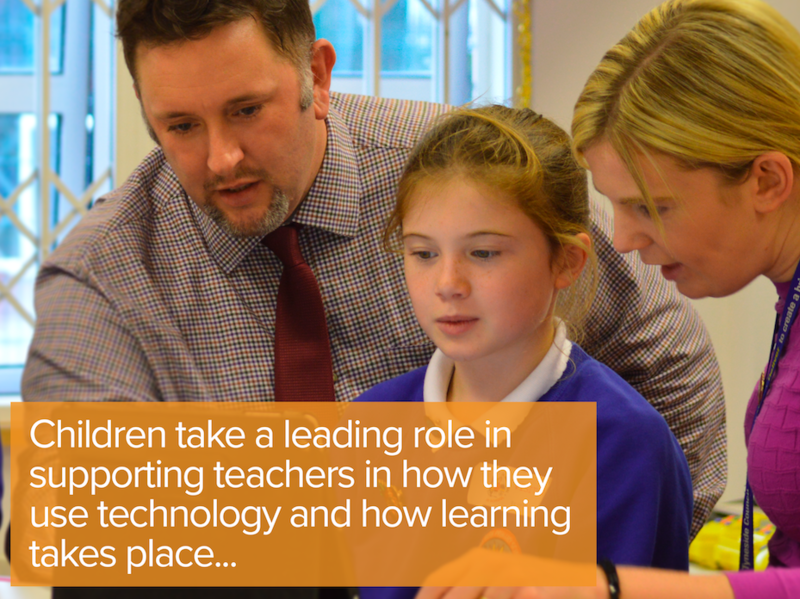 My thanks go to Head Teacher Emma Overton from Stephenson Memorial School, Laura Dickinson and all of the teachers and pupils who attended the North Tyneside Learning Trust Digital Leader Academy. We are going back again for more in July, so watch this space! Thanks too to Claire Jones for the event at Layton Primary and all of the teachers and pupils from there too. I can’t wait to come back for our second set of days. I am both envious and proud of work you are doing in this area Mark. I have had some successes with http://www.ozdls.com but not on this scale with such heavy personal involvement and wide-reaching implications. I am in the early throes of a PhD researching the involvement of students and the impact it can have on teachers. I feel that academic back up to what we know can have a huge impact in this area will benefit us all in the Digital Leader area. Thanks for that Nick, I appreciate it. I was hoping you would make it to #TTPlay this week. I’ll be sharing about DLs in my keynote tomorrow. Do you have anything that I could include – full credit of course! Could I include the ozdls.com URL and some info?